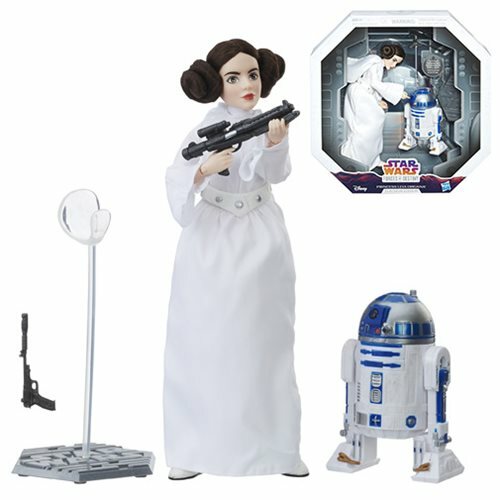 Get ready for the adventure of a lifetime with the Star Wars Forces of Destiny Princess Leia Adventure Doll! Your favorite space princess returns here with rooted hair and a cloth outfit, bringing you her signature look from the original Star Wars movie. You'll marvel at the cloth costume and rooted hair, with doll-like features you'll enjoy. Don't miss this collectible 11-inch scale adventure figure! Ages 4 and up.